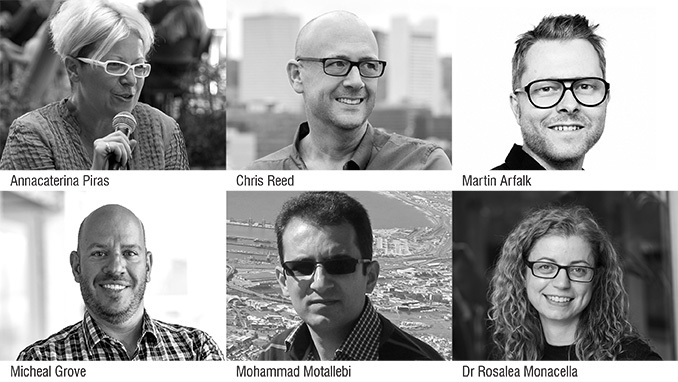 The 2019 WLA Awards are annual international landscape architecture awards that seek to honour landscape architects around with world for their outstanding work and promote the profession across the world. The Awards endeavour to recognise innovative work (conceptual and built) by landscape architects provides the opportunity for landscape architects from all countries to be recognised on the world stage by their profession. She has a PhD in Landscape Architecture gained at the Alghero School of Architecture, University of Sassari (2011) and obtained the first degree in Architecture at the Florence School of Architecture (1999). Since 2004, she has coordinated several international operative workshops, experimenting shared practices in urban interventions by using art as a vehicle for the redevelopment of open spaces, with the collaboration of local artists, communities and cultural foundations. Founding Director of Stoss Landscape Urbanism, and both Professor in Practice of Landscape Architecture and Co-Director of the Master of Landscape Architecture in Urban Design Program at the Harvard University Graduate School of Design. He is recognized internationally as a leading voice in the transformation of landscapes and cities, and he works alternately as a researcher, strategist, teacher, designer, and advisor. The founder and one of the two partners of Mandaworks – a progressive and contemporary design studio engaged in the fields of architecture, landscape architecture, urban design and comprehensive planning. Michael is the Chair of Landscape Architecture, Civil Engineering, and Ecology at Sasaki. Leading much of the firm’s work in Asia, he is a fierce advocate for the vital role that landscape architects play in shaping contemporary cities. A registered Landscape Architect. She is a faculty member in the Landscape Architecture Department at Harvard University. Her research explores design at the nexus of the urban and natural environments evidenced through projects and masterplans completed around the world. Only entrants who submitted an Awards Submission can submit a separate submission for publication. The Publication submission should be submitted via email to [email protected] . Submissions should be via dropbox, wetransfer, onedrive or similar. The shortlist will be announced in early April and the winners in Mid-April.